How to secure your Adsense account? Get best tips!! HomeGoogle AdsenseHow to secure your Adsense account? Get best tips!! A very good morning to all of you my friends, as you all know my name is Bhanu Saini and today I am back with a new post in which I will give some Golden tips to secure your Google AdSense account. All the tricks effective and working so please read this post carefully and if you like this then please share with your friends. Why it is necessary to secure the Google Adsense account ?? So, first of all, I would like to tell you what is Google AdSense. 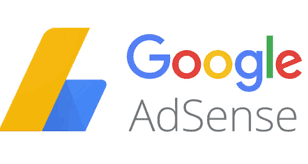 Friends Google AdSense is a platform through which you can run Google ads on your blog or website. To create a Google AdSense account, first of all, you have to create a blog and then sign up for Google AdSense. After that when Google AdSense company approves your account, You can run Google ads on your blog and start earning. Nowadays it is very hard to get Google AdSense approval on your blog, as we all know the policies of Google Are very hard. So when you get approval and your blog starts earning then it is necessary to safeguard your Google AdSense account because if there is in any invalid activity then your account may be suspended. After reading this I hope you all understand why it is necessary to secure your Google AdSense account?? So now let discuss some tips about this problem and it is my guarantee that after using this tips your account will be safe and never will be suspended. How to secure your Google AdSense account ?? 1. Never self-click on your ads = According to Google AdSense policy you can never click on your own ads and if you do this your AdSense account will surely be suspended. So you should not self Clicks on your ads if you think that you will increase your earning by self-clicking on your ads then you are wrong!! So please never click on your own ads And by this, you can secure your account and prevent from suspending. And if you are CTR is more than 10% then please send a mail to Google including the screenshot and then Google will test it otherwise Google Adsense your account may be suspended so it is very important to maintain your CTR below 10%. 3. Maintain your impression CTR = The third one tip is that you have to maintain your impression CTR below 3 to 4%. As Google AdSense policy says that your impression CTR must be below 4%. So you have to pay attention to this if your impression CTR is more than 4% then have a step towards this and try to resolve it otherwise your account may be suspended. 4. Use original content = This is a very major problem that after getting Google AdSense approval user thinks that now they can provide copied content to their visitors, but this is wrong. So if you provide a duplicate or copied content to your visitors your account will be suspended. So these were some best working and tested tips, by using them you can secure your Google AdSense account so if you have a Google AdSense account then please follow these steps and earn honestly.